Sheep and lamb markets were all over the place this week, with large price movements up and down depending on state and category. Variable price trends were in part driven by supply fluctuations, of which sheep seems the most interesting. Figure 1 shows the rapid increase in sheep slaughter over the past month. This is a sure sign of moisture stress for sheep growers. Lambs can’t be offloaded as they are not ready, so it is sheep which are hitting the market, most likely wethers. 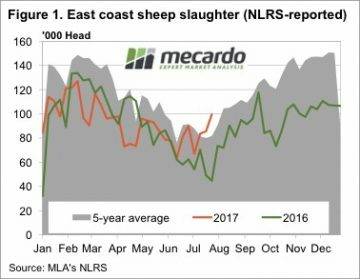 Sheep slaughter for the week ending the 28th July was the more than double the same week in 2016, and the highest level since 2013, but only marginally beating 2014. Another measure of supply, lamb yardings, moved in the opposite direction this week. 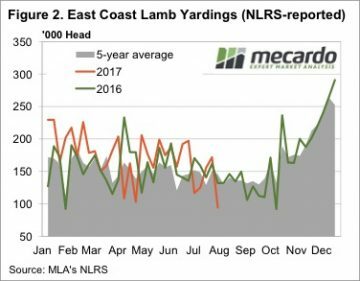 Figure 2 shows a dramatic fall in lamb yardings this week, with 45% fewer lambs yarded on the east coast. It could have been last week’s drop in price seeing smaller yardings. However there is likely to be a dearth of lamb supply in general, as old season supply ends, and suckers are yet to reach minimum weights. The weaker supply saw a bounce in the ESTLI (figure 3), largely driven by NSW, to 596¢/kg cwt. 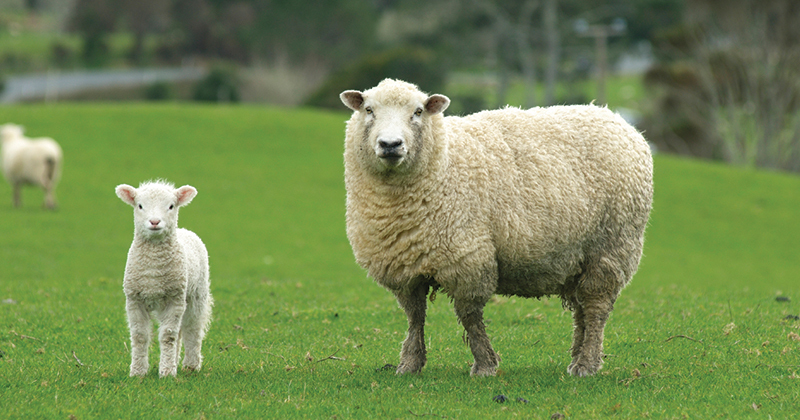 WA remains the price leader for lambs with the WATLI at 660¢, and has also achieved the highest price for mutton, at 418¢/kg cwt. 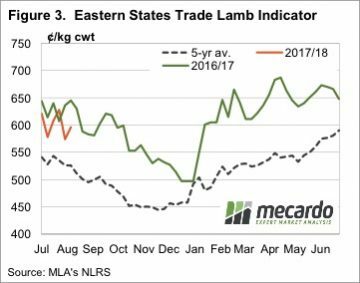 East Coast mutton values were up in SA and NSW, but lost ground in Victoria, with supply no doubt driving prices. The rain over the last week, and that forecast for the next few days will provide some welcome relief for sheep producers. It’s not likely to be enough to improve lamb growth rates, but could weaken the supply of sheep in the short term. Either way there should be some support come for sheep and lamb values in the short term, but the medium term trend will continue to be down.